We are currently launching into the third panel of our 18th Annual Gender and Women’s Studies Interdisciplinary Graduate Conference, taking place in the Hawkins-Carlson Room of Rush Rhees Library until 4:30pm today. The conference began yesterday evening with a Keynote lecture by Laura Kipnis, a rousing introduction into the topics being explored by panelists today. After we wrap up here at Rush Rhees, we will head over to the Hartnett Gallery for a Closing Reception. Fittingly, the exhibit The Modern Day Diana will be on display – featuring photographs of female hunters by Margaret LeJeune. 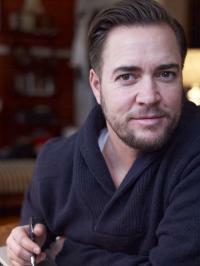 Finally, at 8:00pm tonight, UR Pride Network hosts “one of the first openly transgendered comics,” Ian Harvie, in Hubbell Auditorium, located in Hutchison Hall on the University’s River Campus. For more information on Harvie and where to find tickets, click here. This has been a wonderful two days for SBAI and we thank all who made the Graduate Conference a success!